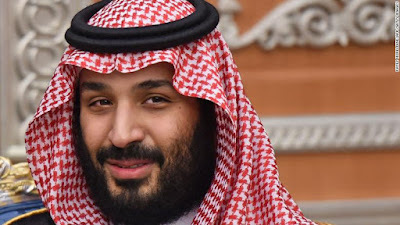 Now my hotel is not a particularly busy one, so for most of the time I have a pretty peaceful existence, especially at night as I rarely have someone in the room next door – other than during the big holiday periods when Saudi families come to Doha for weekend breaks. Their children are lively little cherubs who really enjoy running up and down the hotel corridors screaming – bless their little hearts ! So early in December, when I was being kept awake by a guy in the neighbouring room, who seemed to come in at 1am and have very loud conversations on the telephone until around 3am, I assumed it would only be for a couple of days. After the 5th consecutive night of the same pattern, sleeping with my head under the pillow, I asked the hotel reception…… “when is the guy in the next door room checking out?” Maybe I could get him moved. …… after all, I worked for Al Jazeera and they’d want to keep me happy! “Oh let me see, madam……. Oh yes, he checks out on 20th December.…. he is the organiser of National Day!” Well, I didn’t expect that! “okay, thanks very much…” I smiled and went to work. I decided that I would lie there each night feeling warm National Day thoughts and imagining what the poor man must be going through! I did have a fleeting idea that I might knock on his door very late and do a pathetic ‘poor me’ act to get some free tickets…. But that’s not really my style!!...... Instead, I noticed how much later and louder he got, as the big day approached! Then the day finally arrived…. 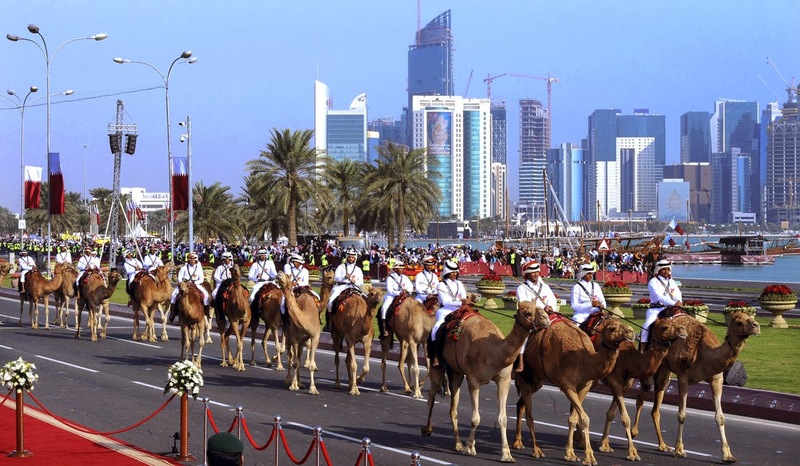 The 18th December was Qatar National Day. The big day when everyone comes together – ex-pats and Qataris (all 400,000 of them it seemed) to mark the day when Qatar officially became a unified nation state in 1878. Now, it being my first time, (and after all those sleepless nights!) I just had to experience the spectacle first hand. Luckily I just happened to wake up at the crack of dawn (about an hour after falling asleep) and when I checked the time of the parade, I thought I’d better get straight out there to secure my spot nice and early…… hmmm….. well, it seemed a few thousand others had already had the same idea. ...there were crowds of men hanging around and going nowhere. It looked like access to the Corniche was being restricted, so I suddenly thought the event may be ticketed. It was then that I realised, they were restricting access to allow only families, couples or women – no single men. …..well, unless they were wearing a thobe and then they would be allowed as they’d be assumed to be Qatari. One of my friends phoned me to ask if I could get through because his brothers had been blocked from attending. (They are all Palestinian but born in Qatar). I was just passing through the fence when a guy grabbed hold of me and said “I’m with you”…… it was terrible. It felt like being on the Titanic - without the icy depths of the North Atlantic.... or the lifeboats..... or a sinking ship...... or the threat of drowning....... but I still felt guilty – some of these guys had been the workers who had been responsible for the National Day preparations and the improvements to all the roads – including the Corniche itself. A friend told me it was because this was seen very much as a family event and, this being a Muslim country, they do separate single men and women/families at many events. There were still plenty of events which single men were permitted to attend, including the much anticipated fireworks display in the evening. It was a beautiful morning – although pretty chilly. 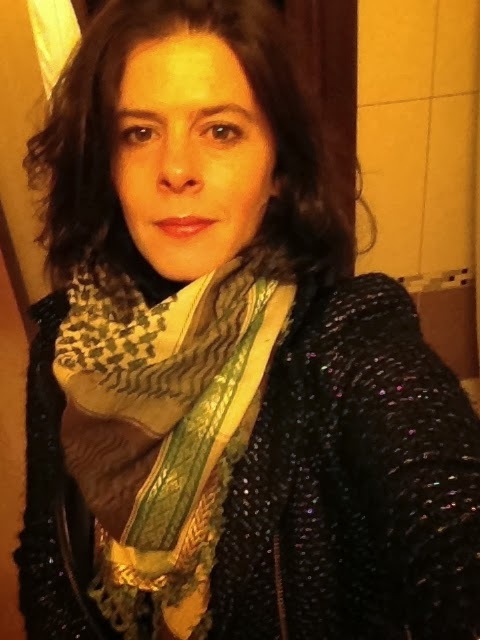 Organisers advised people to dress warmly and indeed they did – the guys wearing coats over their thobes and I was wrapped up in my ghutra/ keffiyeh which I’d bought in the souq the night before! I found a good spot to watch from among the crowds and soaked up the atmosphere until the parade started. I guess this is as close as I’ve ever got to attending a Royal event –I’ve certainly never engaged in such activities in the UK – I’m not a Royalist and I don’t like following the crowd! 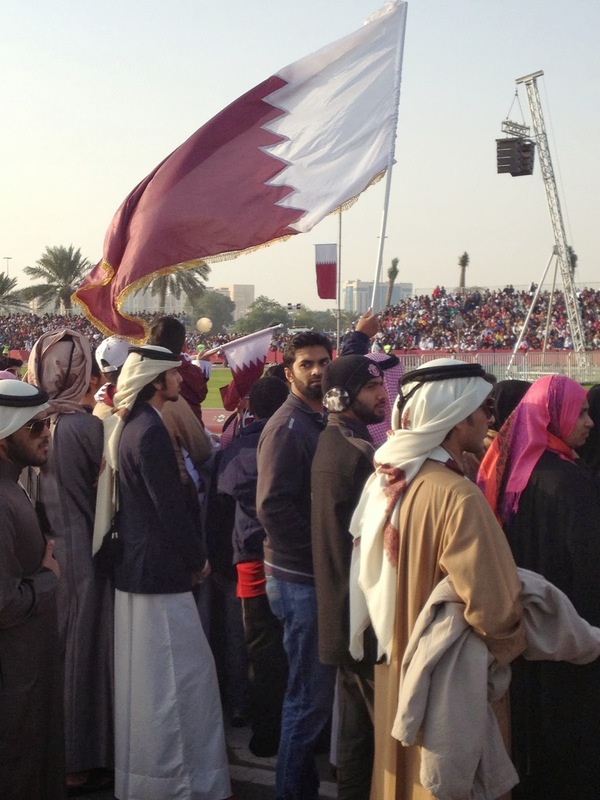 But somehow, here I feel free to join in the cheesy cheering and waving like a good Qatari! We all jostled for position, we got quite friendly with each other, sharing sweets and saving each other’s places. 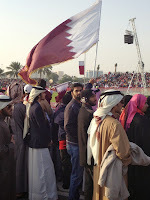 Many were dressed in the colours of the Qatari flag and some of the outfits like the gentlemen in the photo here, looked incredibly elegant. As a hush descended and the Amir had taken his seat, we waited to see what would happen next…….. out of nowhere a massive ‘BOOM!’ right behind us lifted us off our feet and sent the crowds in my immediate vicinity running! What the…….. !!!!???........ then another! Those of us who had decided to stay to protect our viewing spots no matter what, stuck our fingers in our ears and turned to see that we were standing immediately in front of the cannons on the seawall!! We had to stand through another 16 as an 18 gun salute took place. I can honestly say, I have never experienced shock waves before ……… the force was such I had to check that my clothes hadn’t been blown off, 'Carry on - Barbara Windsor' style!! The parade was fabulous – various arms of the police and military, marching or on horse-back. My favourite moment was the soldiers on camels – riding both seated and standing waving their swords! Fabulous! Alongside was a parade of military vehicles, some of them the weirdest things I’d ever seen……. All sorts of amphibious and not so amphibious, big-gun toting, armoured, chemical-suited-personnel-carrying vehicles of every shape, size and colour…. Well mainly sandy colour or black! This was followed by a brief fly-past and also a parade of Dhows on the water which was beautiful. One of my Yemeni friends, Osman, who is in the Qatari Police, had been in the parade and was very proud of it. I agreed to meet with him and his friends later that evening to watch the fireworks. 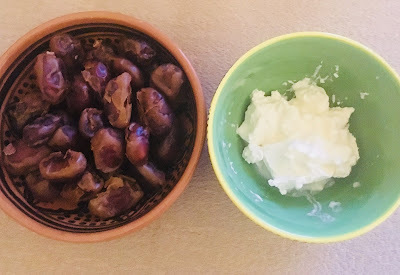 I didn’t go out until quite late – around 8pm and headed past the Souq again. I took a quick look but nothing much seemed to be going on there – perhaps knowing it would be crazy to compete with the celebrations along the Corniche that night. I texted Osman to find out where he and his friends were……. And he texted me back this photo!! My reply went something like…… ‘I am now walking in your direction, I may be some time!’…… they were all the way around the other side of the Corniche – about 5 miles. The Corniche was crammed at my end (considered the poorer end of town by some….. as its where all the real workers hang out….. but it’s definitely the richer in terms of action and atmosphere). The roads were jammed with flag waving revelers….. all standing through their sun roofs, singing, tooting their horns etc….. a little bit like my neck of the woods in North London when Arsenal wins! I walked as quickly as I could and texted …… “are you in your thobes?” If they weren’t, there was little hope of spotting them among the crowds. As I walked around the Corniche to the City Centre end (the posh end), I started to see a few more thobes and more westerners too. Then I spotted them walking towards me….. Osman, Malek and Walid. It was great to see them as always and they greeted me with the one-sided double kiss – usually reserved for male friends only but as I’m now officially part of the Yemeni crew, they make an exception for me! This is Osman and Malek - Walid was suffering with a cold and feeling decidedly unsociable. We hung out, soaking up the atmosphere, and waited for the fireworks. Osman spotted a refreshment hut and went to get us all chai (very sweet black tea). There was a crazy scrum but as one of the tallest and the only one in the crowd wearing a thobe, he pushed himself to the front….. at one point there were so many of them pushing, I thought the whole hut would topple over. We found a great spot to watch the fireworks together on the water’s edge – they were incredible and lasted just about as long as fireworks should last – around 10 minutes, set to orchestral music. They were launched from the little island in the middle of the bay, with the reflections in the beautifully calm waters adding to the effect. Of course, everyone watched them through their phones, recording it for later rather than watching it now, as is the way these days. As they finished, Abdul announced “Halas”…… as one or two little fireworks continued to splutter into the air…… leading everyone to wonder if they really were finished or this has just been the prelude to an even bigger display! We decided to take the long walk back towards Souq Waqif so that the boys could try and find a taxi!! Although the roads by now were jammed solid with flag-waving 4x4s! Osman was still feeling the pride and excitement from this morning’s parade and couldn’t help himself from marching as we walked along – of course submitting himself to much mockery by the rest of us. We had a great time together as we walked back along the Corniche and I felt a very warm glow of friendship across our cultural and linguistic differences. A fabulous way to round off National Day. My thoughts turned to my noisy neighbour, and wondered if everything had gone to plan, or had their been mistakes which, of course, none of us noticed!